What you see on the screen in a video game is supposed to give the player a connection to something that is intangible. Nothing you see is real, yet you become invested in the illusion presented to you. In the few management simulator games that I’ve experienced, these might come in the form of buildings, people, and environments. 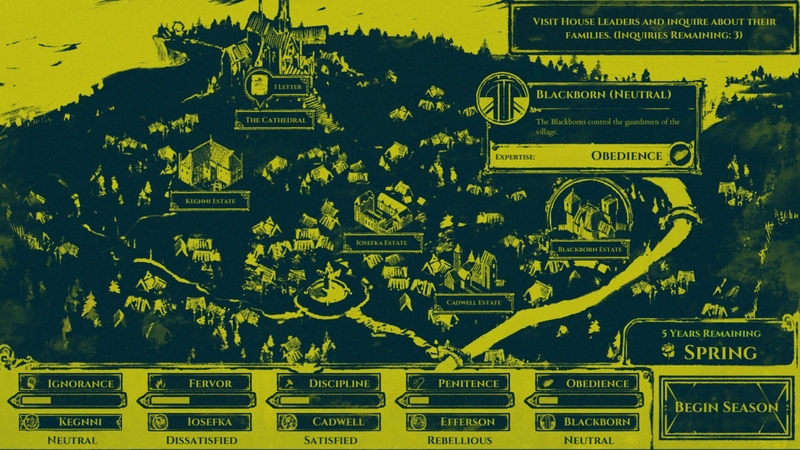 All The Shrouded Isle really gives are pieces of artwork, text, numerical data, and bars. 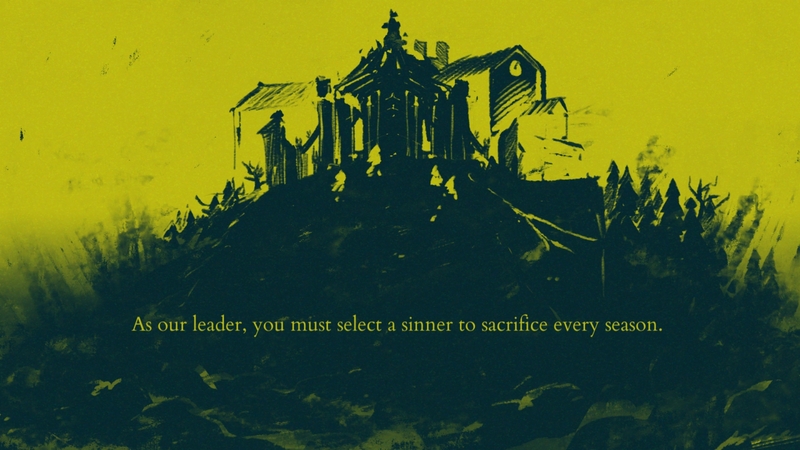 Somehow, I was still totally entranced by this cult simulator from Kitfox Games. “Striking” is probably the word I will overuse here. The monochromatic color scheme, the chilling sound effects, the atmospheric and varied music tracks, the simple, brief, use of language and words to convey mood and personality, and so on created a “tangible” intangible world in my head. I approached each one of my play sessions from a different angle and with a new strategy based on previous runs. While I feel like I eventually hit a wall with the systems in juggling numbers and graphs, I am curious enough to explore the game at an even deeper level. The player takes the role of a cult leader, tasked with various decisions to please the five noble families of a remote village. Each of these families is focused on different aspects of the cult—not necessarily good or resources, but rather traits including Ignorance, Fervor, Discipline, Pentinance, and Obedience. It’s all a balancing act to make sure that none of these areas falter, and that all five families remain content. 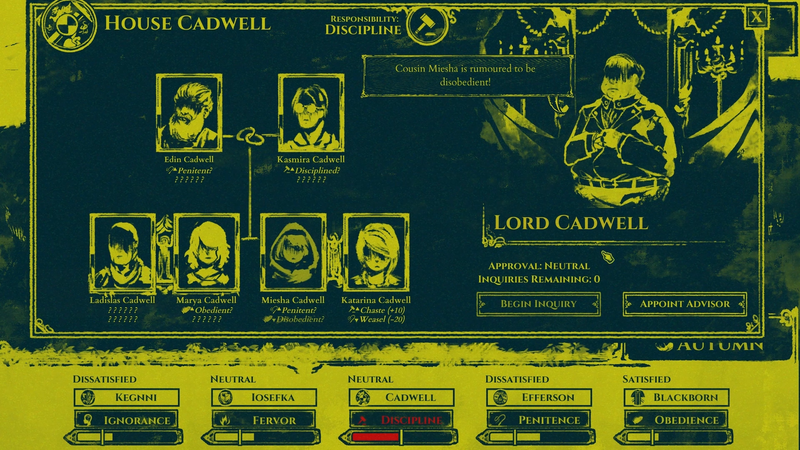 Most of The Shrouded Isle has the player inquiring these five families, having to select council “advisors” from each family every season. Each family member has a Virtue and a Vice to reveal, the former supporting one of those five main traits and the latter doing the opposite for a different trait. Perhaps one family member is “Just” and would add to Pentinance, while also being an “Artist” and damaging Ignorance. These advisors will carry out tasks for a whole season, and you view the results and inquire more about these traits as you see these bar graphs move up and down. Here’s where the cultish aspects get to their most extreme—at the end of every season, the player must choose one of these advisors to sacrifice. Per the beliefs of the cult, an apocalypse is due from their gods in three years. Who the player chooses to sacrifice will have positive and negative effects, major or minor depending on the traits of the sacrifice, on both the loyalty of the families and the five main traits. It’s an intense balancing act that should not be taken lightly. Artistically, the game won me over instantly. 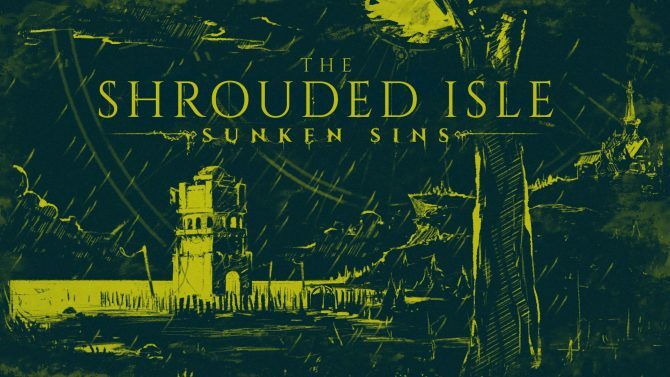 The Shrouded Isle is subtle and muted with its horror elements, with Lovecraftian-inspired visuals creeping into my head. Even just as still images, the artwork by Erica Lahaie makes a deep impression, with dark and gothic environments and distinct character portraits, all with the unsettling commonality of having their eyes hidden. During sacrifices, the monochrome is beautifully contrasted with a bit of bright red blood. In the options, the player can select what sort of color scheme and style, ranging from different yellows to browns to a nice red wine-like color—some are pleasing to the eye, while others I found garish. It is all tied together by the writing from Tanya X. Short, which unites all of the artistic elements to really bring this cult some personality. The larger cult itself will come across as others you’ve seen in fiction, but the little bits of dialogue from villagers as you select them to be advisors actually quite adds to the gameplay. Excitement, reluctance, and so on are expressed to provide context clues on who will be useful and who will eventually be disposable. But don’t get too sacrifice happy—a few wrong moves and you as the leader will end up between a rock and a hard place. I kept second-guessing myself at every turn and move while playing The Shrouded Isle. On one hand, I really wanted to role-play as this cult leader. With my own interest in organizational behavior (not specifically with murderous cults, mind you), I wanted to see if I could dig into any sort of psychology and legitimately try to run this village based on gut feelings. Who will make the necessary contributions to this cult, and who can I trap onto this council to eventually be a sacrificial lamb? At some point, I stopped this role-playing and went entirely by the numbers. Eventually, it became a somewhat annoying balancing act of graphs. I had to choose carefully which traits to inquire about, as each family has either just one or two inquiries when selecting a new advisor each season. I paid attention to stats, and not so much the character dialogue bits. Still, the combinations of advisors that I produced just didn’t work, with one trait always faltering, or one family going off the deep end into eternal dissatisfaction. Eventually, I was trying to combine both approaches—use the context clues and hard data given, but also try to enter the mind of the cult leader and prioritize which traits I would need to focus on for the next season. My advisor line-ups would have to balance each other better, and I realized that while throwing villagers whose traits are mostly unknown provided the opportunity to learn more about them, actually putting them to work was a risk. 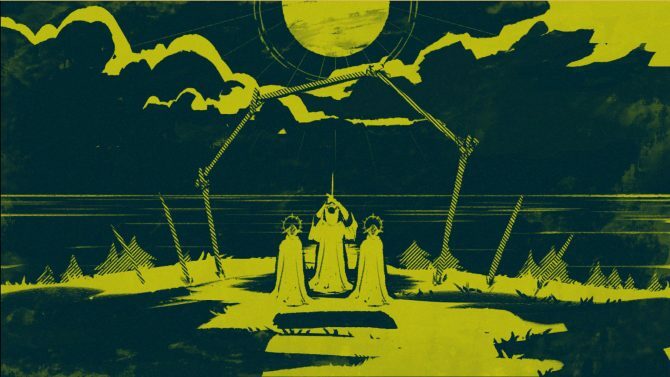 Even when I eventually found a rhythm and strategy that I felt fairly confident about, The Shrouded Isle still threw systems at me to wrangle. 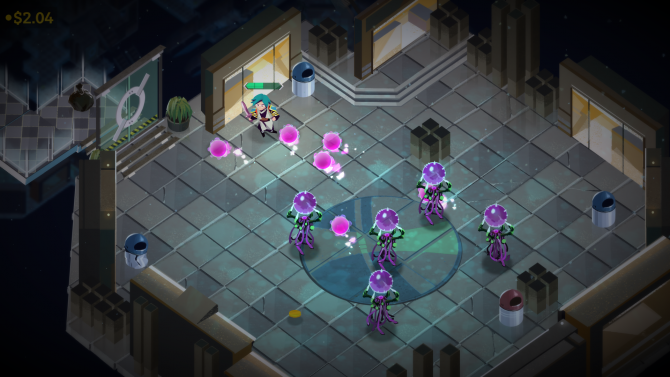 Early in the game, an affliction strikes the villagers, with the player needing to confine suspicious denizens of the cult to learn the base of the affliction and eventually purify them. The cathedral will receive letters presenting scenarios—perhaps a castaway has appeared, and the player must decide what to do with them. No matter how much I attempted to change up my strategy, most of my runs ended with a sense of futility. To the game’s credit, I was curious and entranced enough to keep trooping on to master the many systems. At the same time, I felt as if though my patience was being tried. I felt as I was thrown into the deep end of the pool, having to learn not only the gameplay mechanics but the language (for example, what the hell “penitence” entails) of the game. Cult simulator The Shrouded Isle from Kitfox Games is coming to Switch on January 17, with the release including the Sunken Ship DLC.